Riviera Nayarit Mexico Blog: It’s Time For The Buen Fin Promos In The Riviera Nayarit! It’s Time For The Buen Fin Promos In The Riviera Nayarit! Buen Fin literally means “great weekend” and Mexico’s Pacific Treasure has sweetened the pot with the lowest prices of the year: think discounts of up to 60% and a slew of hotels in Bahía de Banderas and Compostela to choose from. The Buen Fin, the Great Weekend, is headed to the Riviera Nayarit from November 18-21, 2016 and over 30 hotel members of the Bahía de Banderas and Compostela hotel and motel associations are ready to offer visitors a slew of great promotions. This is the eighth special promo campaign this year launched by the associate hotels in collaboration with the Marketing desk of the Riviera Nayarit Convention and Visitors Bureau just for the fun of pampering both guests and locals so they can come enjoy their top-notch services at the very best prices. Promotions include discounts of up to 60%; kids stay free; complimentary Internet, parking and transportation; and choice of access to the casino, amusement park or a tour, among others. Participating hotels include: Bel Air Unique, Dreams Villamagna, Four Seasons, Grand Velas, Grand Sirenis Matlali, Hard Rock Hotel, Las Palomas, Iberostar, Imanta, La Tranquila, Las Cabañas del Capitán, Marina Banderas, Occidental Grand, Ocean Breeze, Paradise Village, Rancho Banderas, Samba Vallarta, St. Regis, Villa Corona del Mar, Villa Varadero, Vista Vallarta, Vallarta Gardens and Playa Escondida. Hotel chains or groups with two or more hotels such as Grupo Marival, Hoteles RIU, Villa Group, Decameron and Palladium are also participating in the promo. To make your online reservations click: http://rez.rivieranayarit.com/Riviera-Nayarit/hotels. 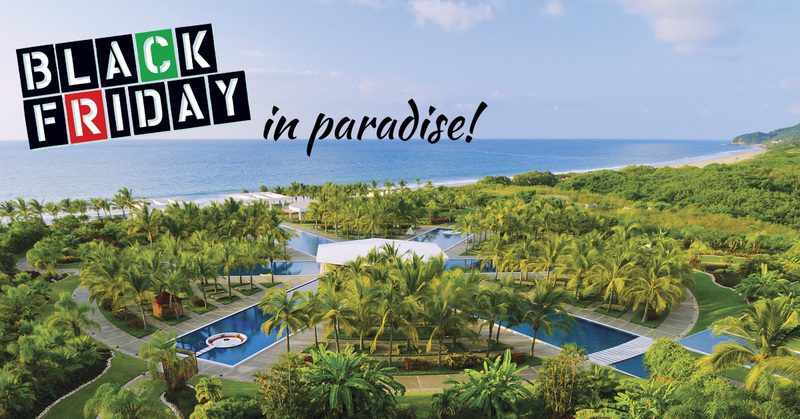 To make your reservations for Vallarta Gardens and Playa Escondida visit: http://www.rivieranayarit.com/special_deals#tab2.